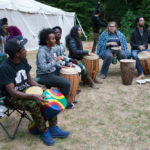 Power of Hope Camp overflows with opportunities to express yourself through the arts, learn from people different than yourself, explore nature, expand your natural talents, and gain new skills. 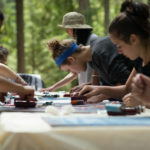 You get to participate in fun and unique arts workshops, stimulating group discussions, outdoor activities, and off-the-hook evening arts events. 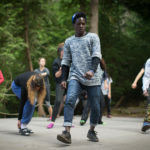 While there is a general flow and structure to each day of camp, there is always room for improvisation and flexibility, especially when it comes to choosing your workshops and free time activities. After breakfast each morning, we gather for a community meeting and a plenary session. You’ll get to add your thoughts on how camp is going and how it can be even better. We encourage you to attend workshops on subjects that are totally new to you, so that you can expand your comfort zone and discover just how talented you are. Of course you can also go to workshops on topics you already love! 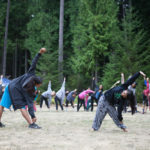 Power of Hope camp takes place in a beautiful natural setting on Whidbey Island, offering a wealth of opportunities to explore and enjoy the outdoors. 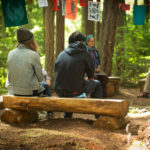 Learning about and coming to respect the environment is central to the camp experience. Our trained Environmental Educator leads workshops such as: animal tracking, bird language, sustainable farming and building, plant identification, and more. We are located near a lake and a Puget Sound beach for plenty of fun in the water and the sun. Free time is chill time, perfect for group projects, relaxing and getting to know each other better. Some of the best conversations happen during free time’s relaxing afternoon hours from 3 to 6 pm. Every night after dinner you meet with your “family,” a special group of six youth and two adults. Meeting daily with the same small group gives you the chance to get to know each other well, and share your thoughts about your experience. During Family Group time, everyone can talk about how camp is going for them, enjoy team-building activities and take time for listening, support and camaraderie. Family group meeting is a favorite time for most everyone! 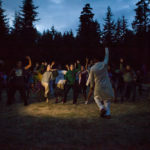 Every night of camp, the whole community gathers for some fun and togetherness. We learn from each other. We entertain each other. And sometimes we laugh so hard we cry. Get ready for a good time! 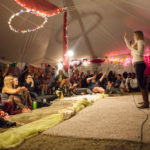 The evening activity varies from night to night, and at Power of Hope we create a participatory culture where everyone can feel comfortable being themselves. Evenings are a great time to get to know yourself and others better, and to have an amazing time in the process. On the last full day of camp you take the reins! Two young facilitators lead the day, and if you want, you get to lead a workshop with another youth or with the support of a staff person. This is inevitably the most inspiring and empowering day of camp.